Long time burner, Captain Jim Peterson of Tuna Guys is lost at sea. On 12/12 his boat capsized. The 2 other deck hands were rescued and they will be OK. The search for Capt. Petersen has been suspended by the Coast Guard. Below is an interview as recorded of Jim by Cowboyangel at Tuna Camp in 2004. More sad news. Mike Aquino aka Skid has passed away. 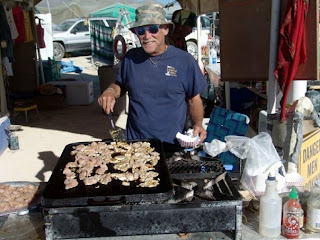 Mike was the man behind K-SVERT 106.5 FM on the playa and well as a former Burning Man Regional Rep for the South Bay. 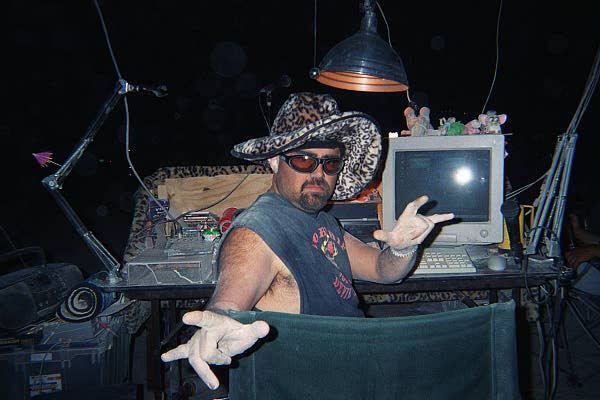 He was a huge part of the Burning Man community and a big part of the Burning Man Radio family. He was a friend and will be very much missed. Please keep him, his family and his girlfriend Wendy in your thoughts. The airwaves gracing BRC will not be the same without him.